TED – Where are all the aliens? The Visual Studio MEF Component Cache can get corrupted which causes things like the Solutions Explorer to not display. 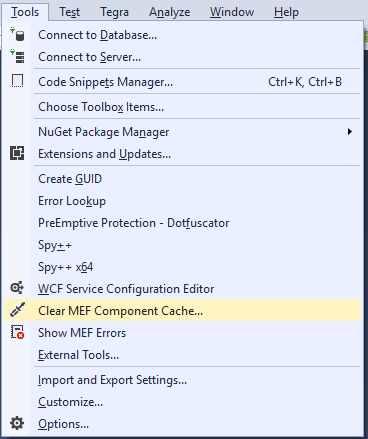 In the Tools->Extensions and Updates menu item there’s an extension that can clear the MEF Component Cache. Once installed, a menu item will appear in the Tools menu. Microsoft’s [cpprestsdk] is a C++ REST SDK for cloud-based client-server communication in native code using a modern asynchronous C++ API design. This project aims to help C++ developers connect to and interact with services. [Scrivener] is a powerful content-generation tool for writers that allows you to concentrate on composing and structuring long and difficult documents. While it gives you complete control of the formatting, its focus is on helping you get to the end of that awkward first draft.